The property market news headlines have been preaching declines in property prices throughout 2018 and 2019. It’s a huge change to the norm where Melbourne real estate prices always seem to be going up. Every successful investor advises to buy your investments low and sell high. It’s easy to spot the low hanging fruit, the market decline is creating a great opportunity to get your first, second or third investment property. So if you’re crunching the numbers for your next investment, it’s only natural to try and want to know how the rental market in Melbourne is tracking. In this article, we look at the history of rental vacancy rates in Melbourne and the future for the long term rental market. The flow on effect of the 2018 royal commission into the banking sector has caused banks to tighten lending practices, particularly for investors. In 2019, it’ harder to secure a loan and more expensive to maintain one. As a result, investors have put buying rental properties on hold, which means less rental supply for tenants. The effects of the royal commission is one of the biggest contributing factors in the current decline in the property market prices. According to property data from CoreLogic, the national median dwelling value – which includes both apartments and free-standing homes – is now $524,149 down 6.9 per cent over the last 12 months. Melbourne dropped 3.4 per cent over the last three months – with a median dwelling value of $624,425. In 2018, Melbourne was recorded as the fastest growing city in Australia by population growth, far exceeding growth estimates. A booming population has to be housed either by people buying or renting, this is a healthy & positive sign for rental vacancy rates. Victoria features a vibrant city that seems to have it all, it’s rated as one of the world’s most liveable city. Current population forecast is tipping Melbourne to be Australia’s biggest city over the next few decades. Putting it simply, Melbourne’s economic outlook is bright. The economy is in surplus, employment rates are low and infrastructure projects are at an all-time high. In comparison to Canberra and Sydney, housing is still considerably affordable. Data supplied by the REIV. The proportion of vacant properties in metro Melbourne remained at 2.2 per cent, while regional Victoria also remained at 1.2 per cent in February 2019. 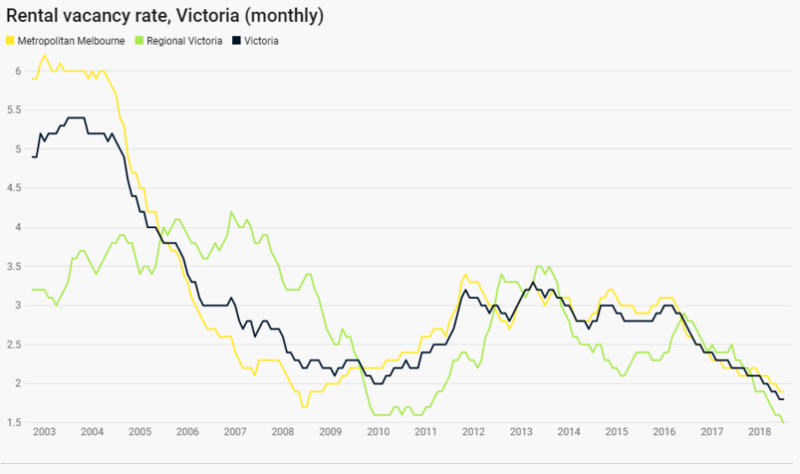 The weekly median rent for houses in metropolitan Melbourne fell to $450 a week, while the weekly median rent for houses rose to $335 a week in regional Victoria. When it comes to rental vacancy rates staying low, the long-term outlook for investors is positive. An increasing population, good economic figures and low volume of rental supply will keep vacancy rates steady or even see it getting closer to zero. In any market, low supply equals a direct increase in price. In the rental game, this will cause the weekly cost of rent to increase. The 2019 Federal election is making investors more nervous than previous elections. If the popular labour party win the election, one of the policies they are looking at implementing is winding back negative gearing. Negative gearing is a form of financial leverage whereby an investor borrows money to acquire an income-producing investment and the gross income generated by the investment is less than the cost of owning and managing the investment. The investor may enter into a negatively geared investment expecting tax benefits or the capital gain on the investment after it is sold to exceed the accumulated losses of holding the investment. It was introduced by the Hawk government in 1985 and has kept the property market running hot since. Getting rid of this financial incentive like negative gearing is a major shake-up of property market, quite frankly, we are not sure what it will do to property or rental prices over the next few years. 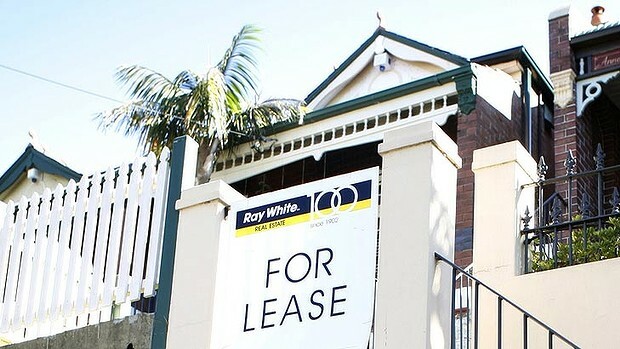 Many economists say getting rid of negative gearing will make property prices drop, the flow on effect will be less investors supplying rental properties and weekly rental prices increasing. A combination of the royal commission and major policy changes to negative gearing could spell the perfect storm for the property market or it could be business as usual. Time will tell. Why is it a good time to buy property now? Even if negative gearing is abolished, it will only apply to new properties purchased post election, most likely sometime in the early 2020’s. Hence, the investors that are using negative pre-election, will get to keep it. This could be your last chance at locking in negative gearing before it’s disappears. If you need to secure a property quickly, consider using a buyers agent. They’re experienced property buyers that know how to buy a great property, efficiently. However the foreseeable future turns out for the property market as a whole, the rental market is looking healthy, regardless of whom wins government.